Your access to and use of this Website is conditioned on your acceptance of and compliance with these Terms. These Terms apply to all visitors, users and others who access or use this Website. By accessing or using this Website you agree to be bound by these Terms. If you disagree with any part of the terms, please do not use this Website. Your information provided while using this Website must be accurate, complete, and current at all times. In order to use this Website, you must be over 18 years of age and possess a valid credit or debit card issued by a bank acceptable in your country. Failure to do so constitutes a breach of the Terms, which may result in immediate termination of your account on this Website. You are responsible for safeguarding the password that you use to access this Website and for any activities or actions under your password, whether your password is with this Website or a third-party service. Any form of actions including, without limitation the harassment, use of obscene or abusive language, impersonation of others, creating multiple accounts to exploit this Website, defamatory, threatening, invasive of privacy or publicity rights and illegal actions restricted by law are strictly forbidden and will be considered as a violation to the Terms which will risk being terminated from accessing this Website. Your use of this Website shall be governed and construed in accordance with the laws of Malaysia, without regard to its conflict of law provisions. Our failure to enforce any right or provision of these Terms will not be considered a waiver of those rights. Any part or access to this Website or your account may be terminated immediately for any reason, without prior notice or liability, including, without limitation if you breach the Terms. All provisions of the Terms which by their nature shall survive termination including, without limitation the ownership provisions, warranty disclaimers, indemnity and limitations of liability. This Website may contain links to third party websites or services that are not owned or controlled by MOMOKO LENS. Even if these third party websites or services are affiliated with this Website, MOMOKO LENS have no control over and no responsibility for the content, privacy policies, or practices of any third party websites or services involved, all of which have separate privacy and data collection practices. Whilst we try and ensure that all details, descriptions and prices which appear on this Website are accurate, errors may occur. In the event that we discover an error in the price of any goods, we reserve the right to edit, refuse or cancel any orders placed for the goods affected by the error, whether or not the order has been confirmed or if the payment has been made. If refund is required after a cancellation, your payment will be refunded as store credit. If additional payment is required due to the error, your order will not be processed until the correct amount has been paid. MOMOKO LENS shall not be liable for any damages whatsoever, including, but not limited to any direct, indirect, special, consequential, punitive or incidental damages, or damages for loss of use, profits, data or other intangibles, damage to goodwill or reputation, or the cost of procurement of substitute goods and services, arising out of or related to the use or inability to use of this Website. All visitors, users and others who access or use this Website agree to fully bear their own risks in using this Website and the contents, goods or services provided. The materials, descriptions of goods, photos and other contents displayed on this Website are provided without any guarantees, conditions or warranties as to their accuracy, correctness and reliability. 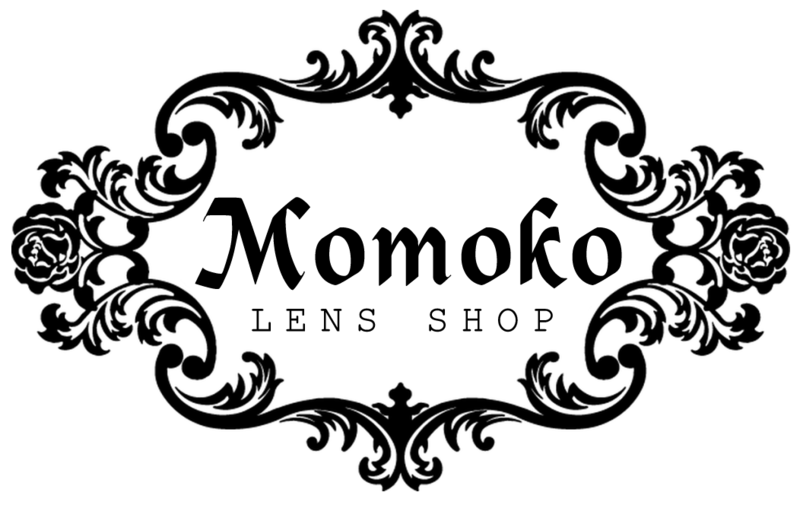 MOMOKO LENS does not guarantee or warrant that the functions contained in this Website will be uninterrupted or error-free, nor that errors will be corrected promptly, nor that this Website is fully free from the risk of being hacked or viruses infection. MOMOKO LENS does not review and will not be held responsible for all communications, contents, materials and activities in relation to or created by the users accessing this Website. You agree to indemnify, defend, and hold harmless MOMOKO LENS, its officers, directors, employees, agents, licencors and suppliers from any and all third party claims, liability, expenses, damages and costs, including but not limited to, any legal fees resulting from you and other user's use of this Website or you and other user's breach of the Terms. The entire content found in this Website including, without limitation, the texts, graphics, and layout designs are all a collective work copyrighted under www.momokolens.com. Reproduction, modify or distribution the contents without permission is prohibited other than in accordance with the copyright notice. Unauthorized use of the contents may give rise to a claim for damages and/or be a criminal offence. We reserve the right, at our sole discretion, to modify or replace these Terms at any time with or without prior notice. We will provide a window of minimum 14 days and maximum 30 days from the date the revised term has been finalized or published to take effect officially. By continuing to access or use this Website after those revisions become effective, you agree to be bound by the revised terms. You can check the date of when the Terms was last updated below. If you do not agree to the new terms, please stop using this Website.